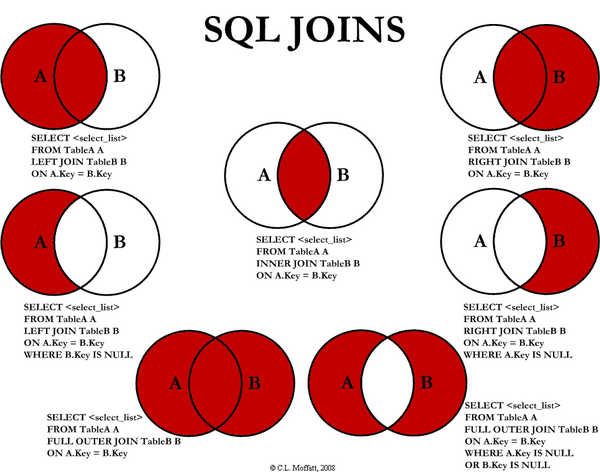 Also check this post: SQL SERVER – Join Better Performance – LEFT JOIN or NOT IN? In this post we will see how to make a MySQL backup and how to restore it. If you are a web developer and even more if you programm with PHP surely you know that the most used database engine is MySQL. Of course, as a good developer you should know that is a golden rule to make and keep backups of your databases. Here we’ll see how to do it easily. # Back up from command line (using mysqldump). # Back up whith compression. Where [uname] is the MySQL username, [pass] the user’s password, [dbname] is the database name, [backupfile.sql] is the output file name, and [–opt] are mysqldump options. –add-drop-table: Adds a DROP TABLE sentence before of each CREATE TABLE sentence in the dump. –no-data: Backs up only the database structure with no data. –add-locks: Adds the LOCK TABLES and UNLOCK TABLES sentences. That is. I hope it’s helful.